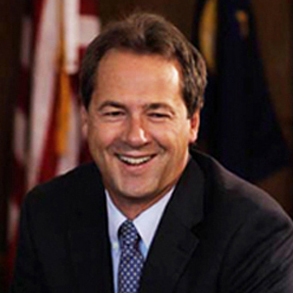 Steve Bullock is the governor of Montana. He has held that office since 2013. He opposes the reduction of national monuments. He supports mandatory funding for the Land and Water Conservation Fund (LWCF), opposes the transfer of federal public lands to states, and is concerned about changes to the Obama-era sage grouse plans. Governor Bullock opposed the Trump Administration’s review of national monuments. Governor Bullock supports full, mandatory funding of the Land and Water Conservation Fund (LWCF). Governor Bullock opposes the transfer of federal public lands to states.